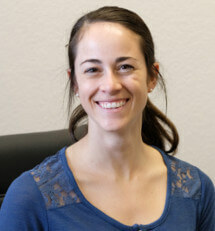 Dr. Serae Mele PT, DPT joined the Johnson Physical Therapy team in 2018 after graduating from the University of St. Augustine in Austin, TX. She is from Rio Rancho, NM and went to Fort Lewis College in Durango, where she participated in soccer through high school and college. Serae is specialized in Manual therapy and has skilled training and knowledge of orthopedic, neurological, athletic, and geriatric rehabilitation. She enjoys working with and helping patients of all ages to help them reach their full potential. She is manual therapy trained and works with mobilizing joints as well as soft tissue mobilization to help relieve pain and restore normal motion; she is skilled in working with patients with joint replacements and helps to return them to normal daily living. Serae’s early competitive athletic background helps her to treat both the competitive and recreational athlete in a comprehensive manner. When Serae is not working, she enjoys being outdoors whether it be hiking, traveling, snowshoeing, or snowboarding.